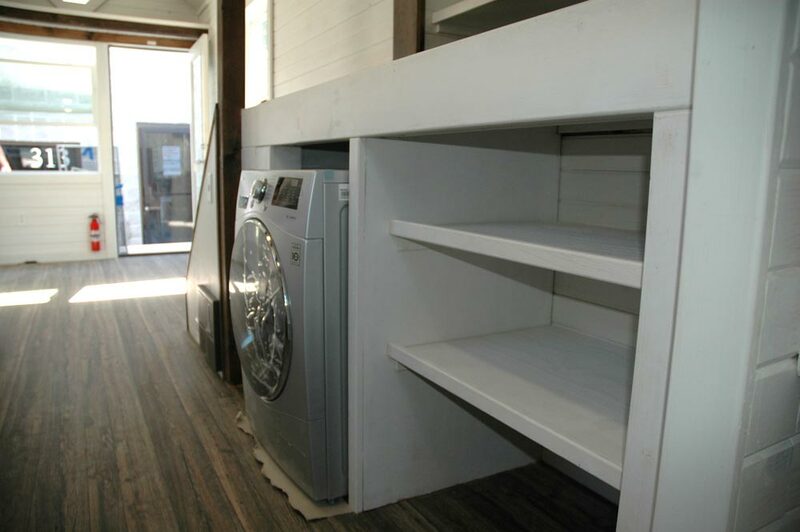 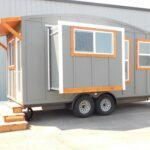 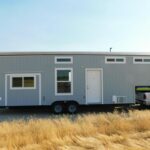 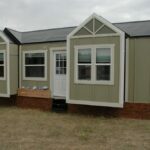 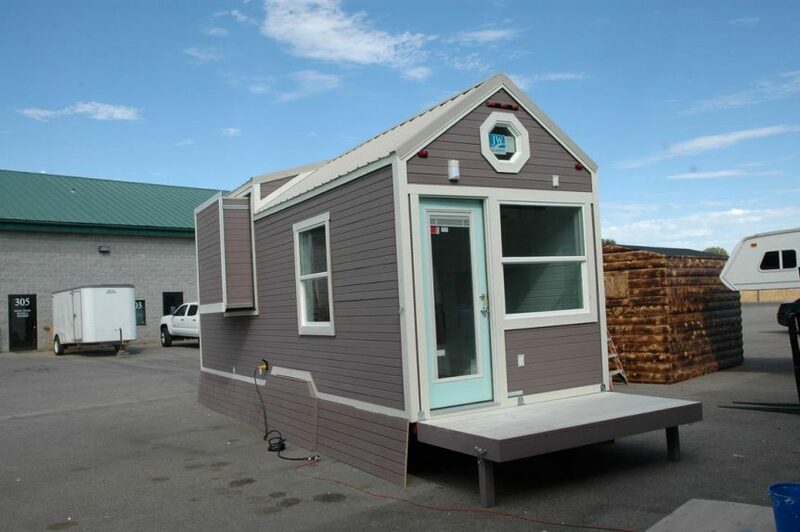 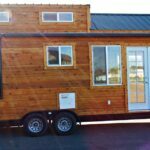 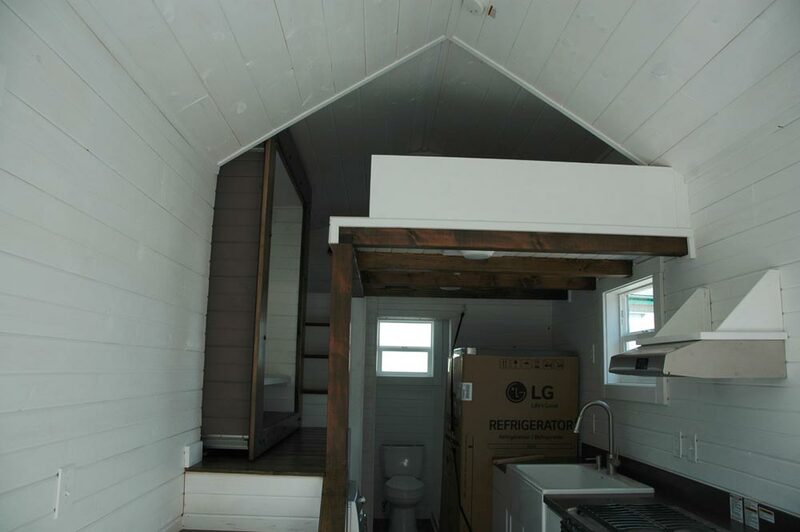 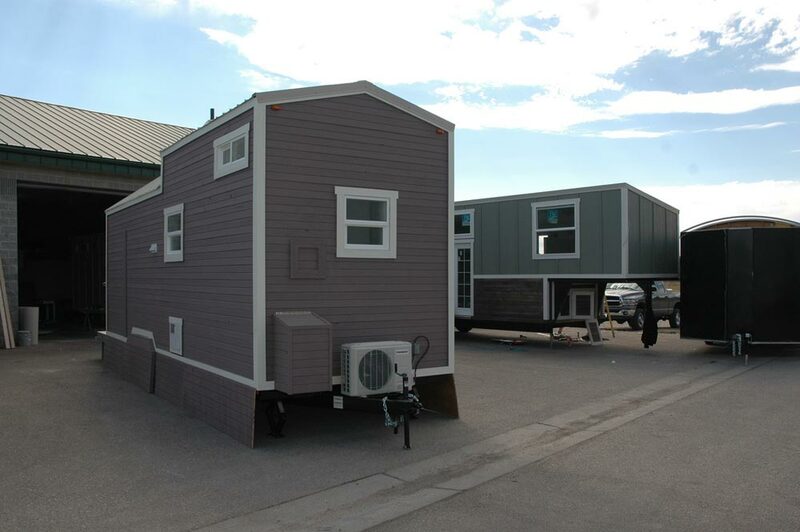 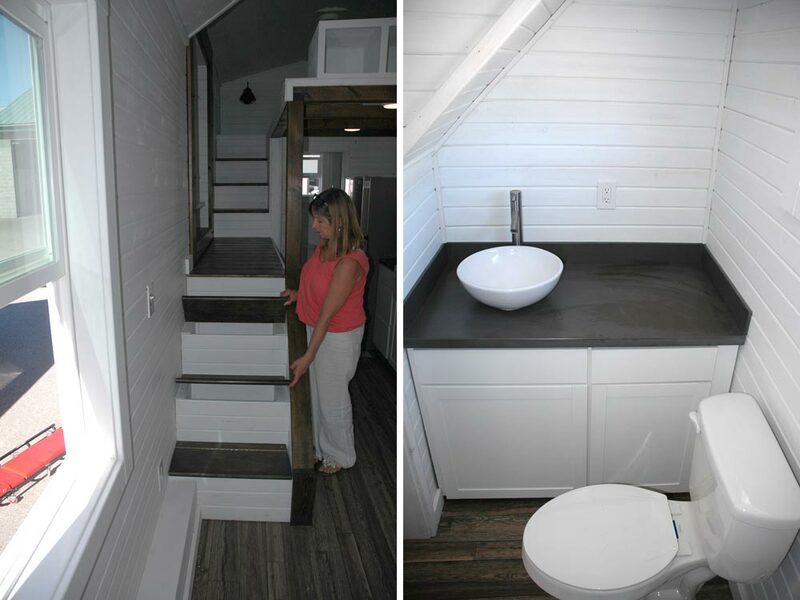 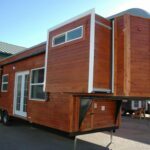 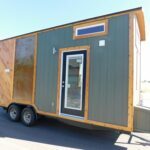 Built by Tiny Idahomes, this custom Clear Creek model comes with a 5-foot slide out closet and a 32 sq.ft. 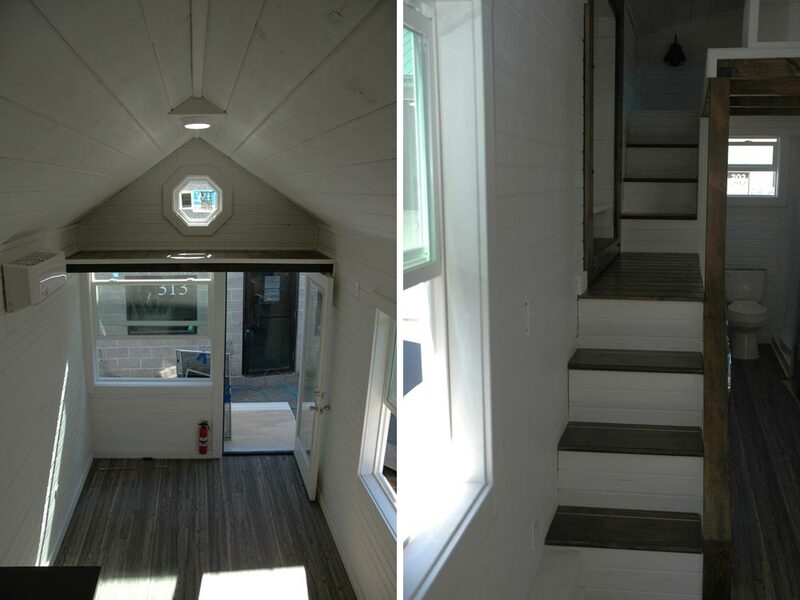 fold down porch. 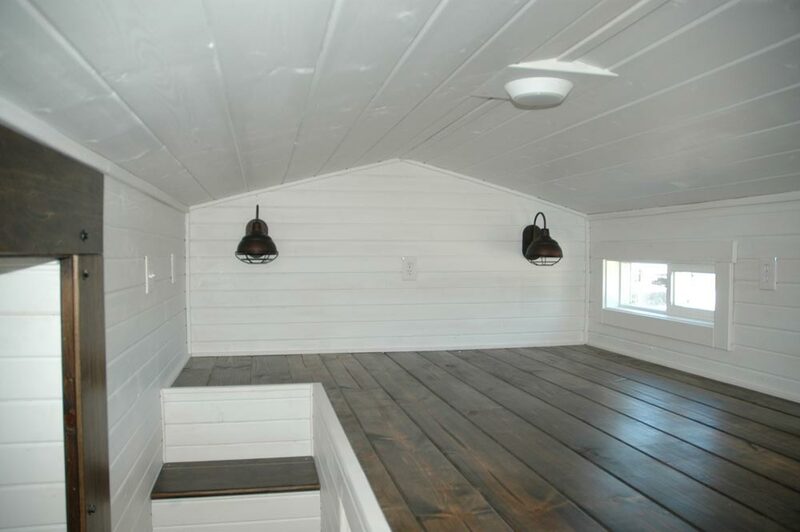 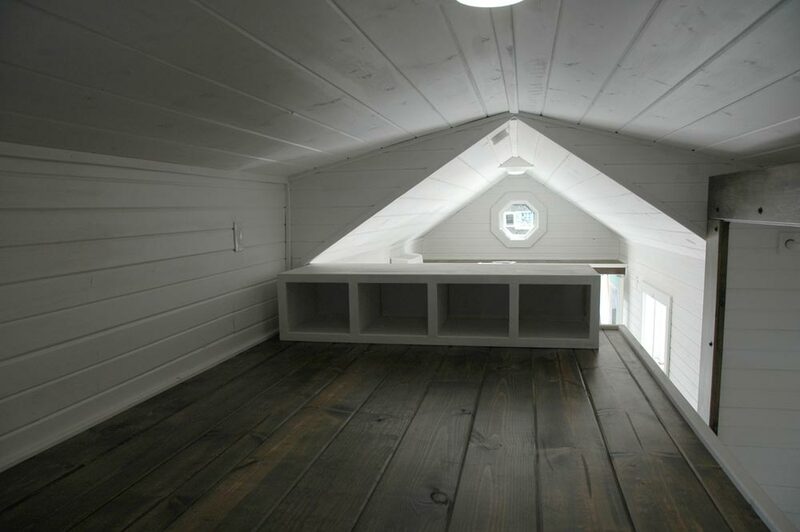 Inside is a 12′ long bedroom loft with dormers, accessed by storage stairs. 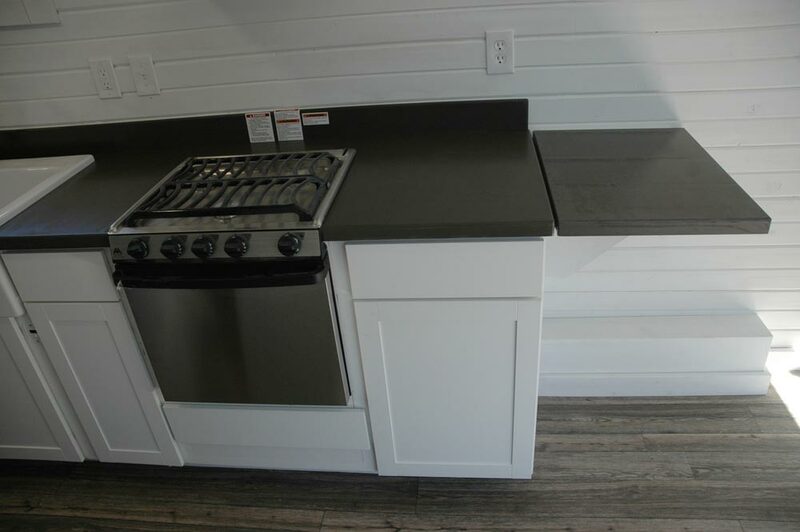 The kitchen includes a 3 burner stainless steel propane range and a beautiful 30″ apron sink by Reliance Whirlpools. 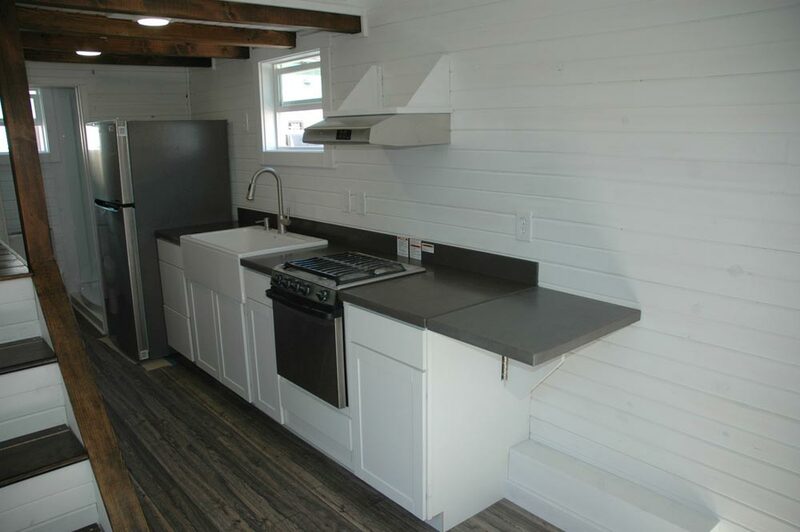 The kitchen countertop and backsplash are deep sable Corian. 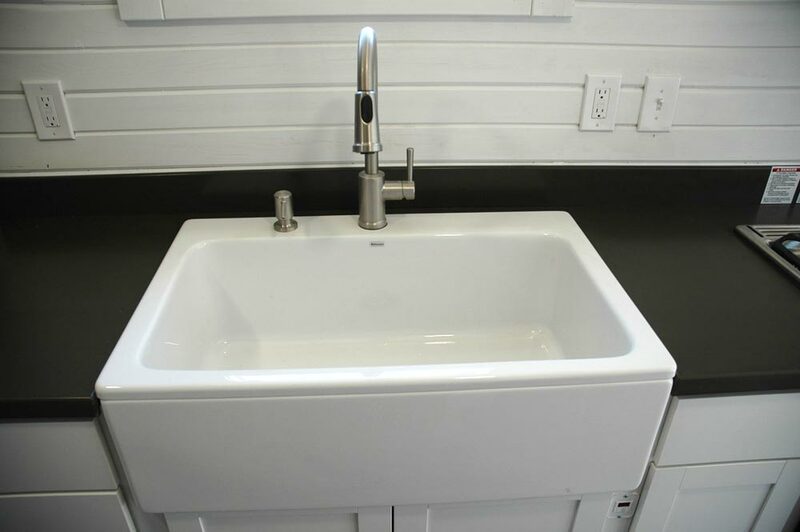 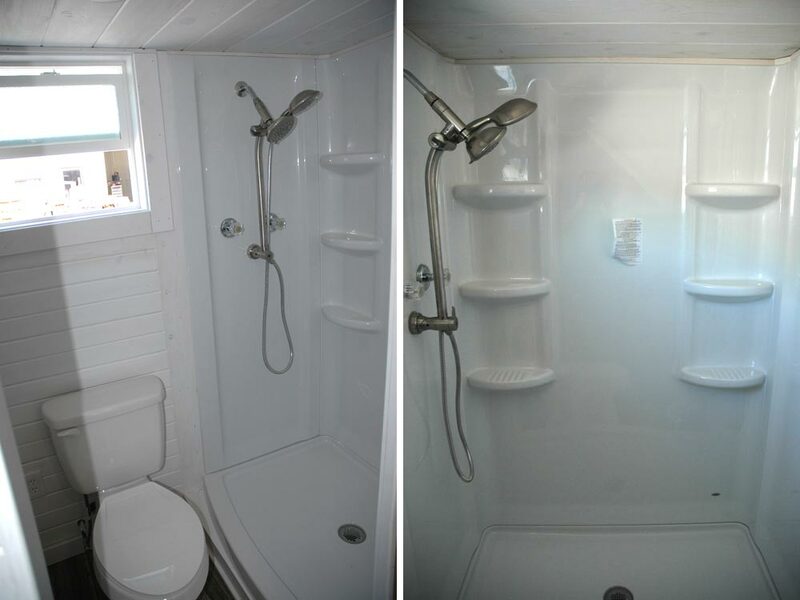 The bathroom has a roomy 48” x 24” fiberglass shower and round Kraus vessel sink. 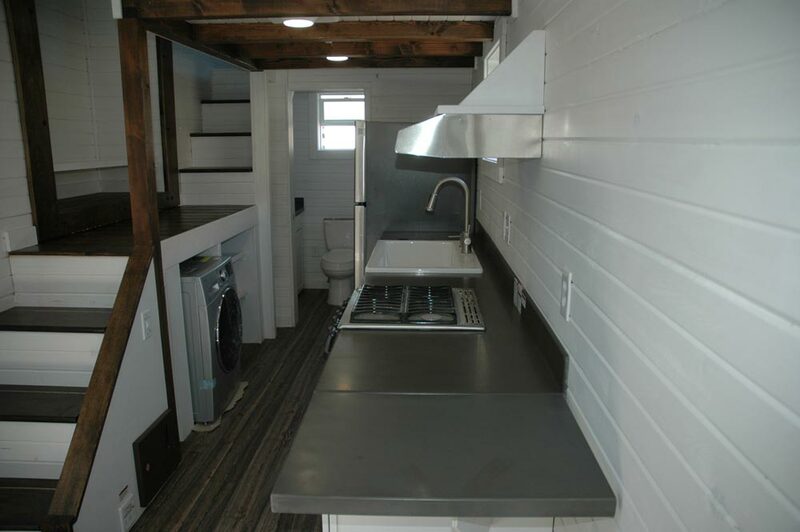 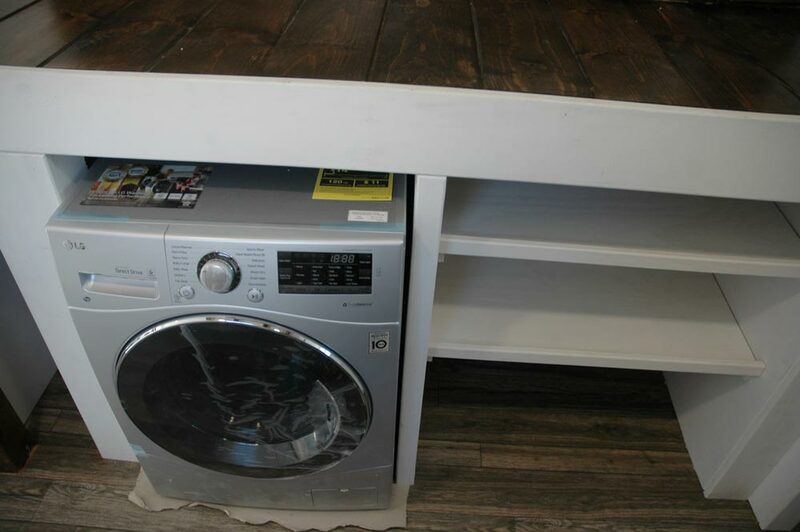 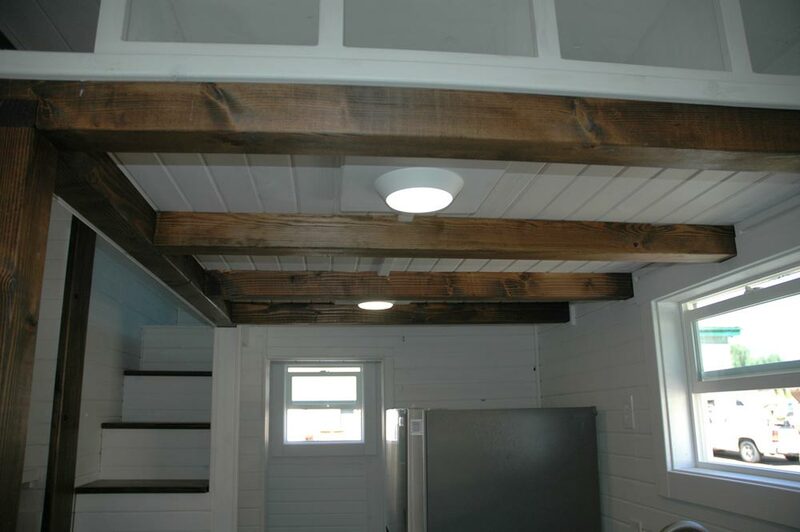 The cabinets and countertop match the kitchen for a consistent look throughout the tiny house.